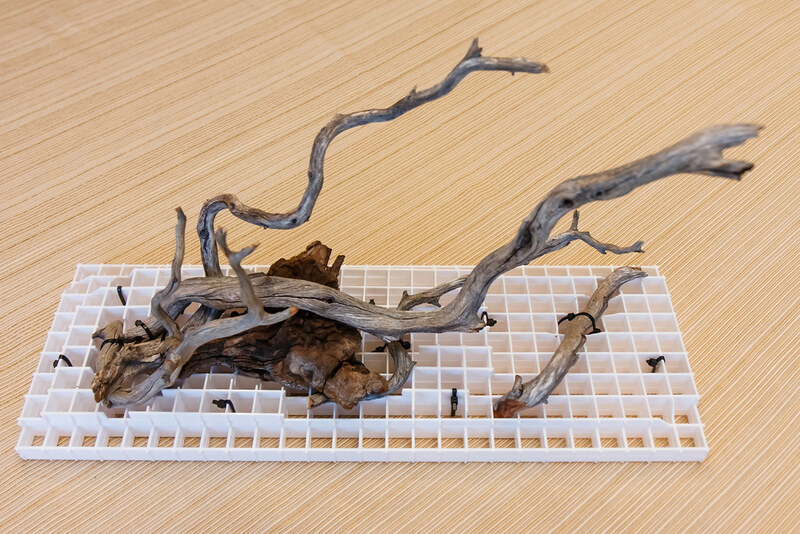 I can’t claim to have come up with this idea on my own, but I adopted it when setting up our Fluval Spec V. The auquascape that I had planned would incorporate driftwood and low light plants. From browsing internet forums, I had been tipped off to the challenge of arranging driftwood in your aquarium and having it stay put. 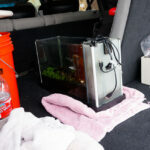 I think this is especially a challenge in a nano aquarium like the Fluval Spec line. I find it challenging to get my hands down into the very small footprint of the Spec V and arrange things. 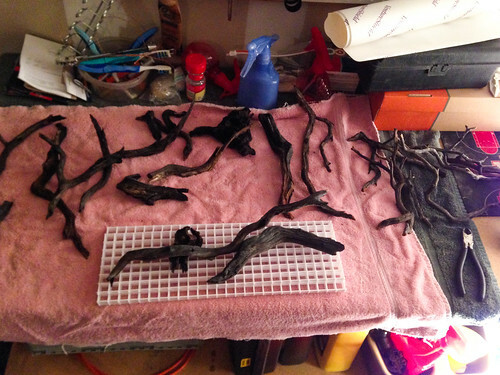 Further complicating things is that if you haven’t fully cured your driftwood for a few weeks in water, it will probably want to float to the top. 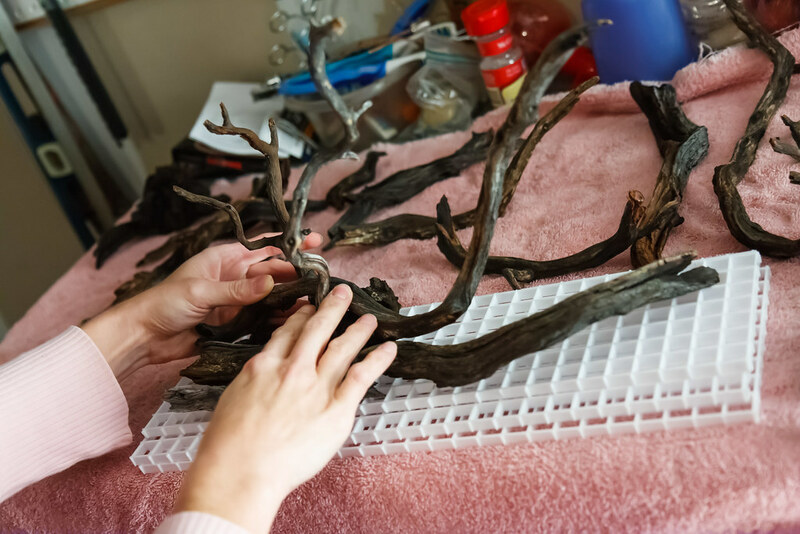 Even after it is fully waterlogged, you don’t want to be constantly battling driftwood that falls over and shifts as you perform your regular aquarium maintenance. The challenge is finding a way to anchor the driftwood pieces down and keep them just where you want them arranged. When i stumbled onto the idea of using zip ties and egg crate to create your driftwood structure, it seems like a great idea that I wanted to try. Driftwood pieces or other aquascaping elements. You can get the egg crate at many home improvement places. 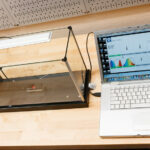 It is called ‘egg crate’ grating in the aquarium hobby. In the store it may be called ‘light diffuser panel’ and is sold in 24″ x 48″ sheets. It is usually in the back of the store with the lighting supplies. 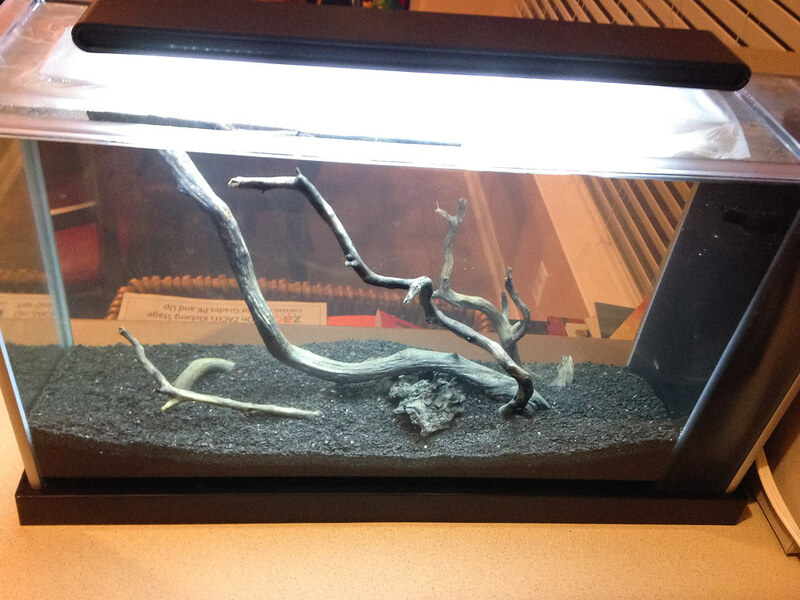 If you do it right, the zip ties will not be visible and will be buried under your substrate, so the color shouldn’t matter. I thought black might be more hidden just in case. The smaller (narrow) ones worked well for me – 4 inch long. Quality driftwood is available from many sources. 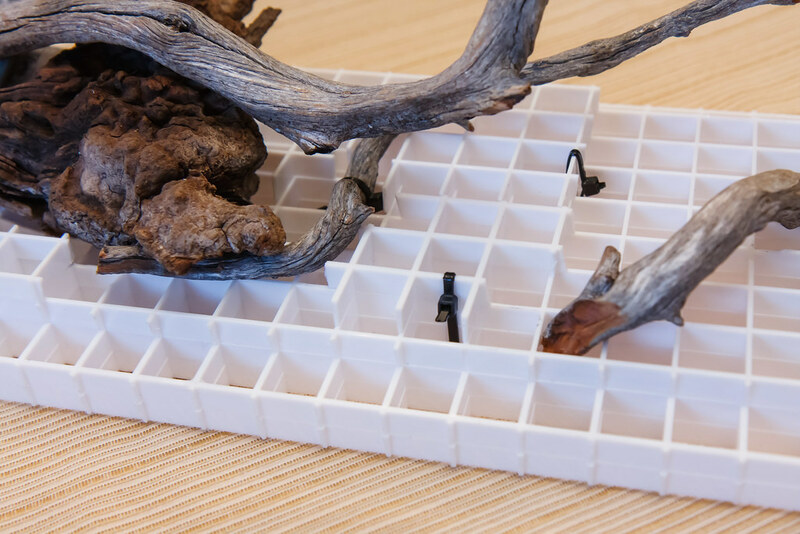 I got a box of small pieces shipped from Mr. Tom Barr (look in the forum on his website). I thought the price was very reasonable for the wide variety of pieces that he sent me. 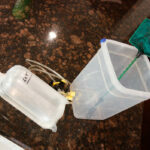 Step one is to create a base layer of egg crate that will fit into the bottom of the aquarium. Make sure to size it with some margin all the way around so that the substrate can fall between the egg crate and the glass and the egg crate isn’t visible. Cutting the egg crate is very quick with a good set of wire snips. Once you get the base made, start playing around with the pieces of your aquascape, arranging/moving around until you come up with what you want. Make sure to check the height by measuring to make sure it doesn’t exceed the height of your tank. 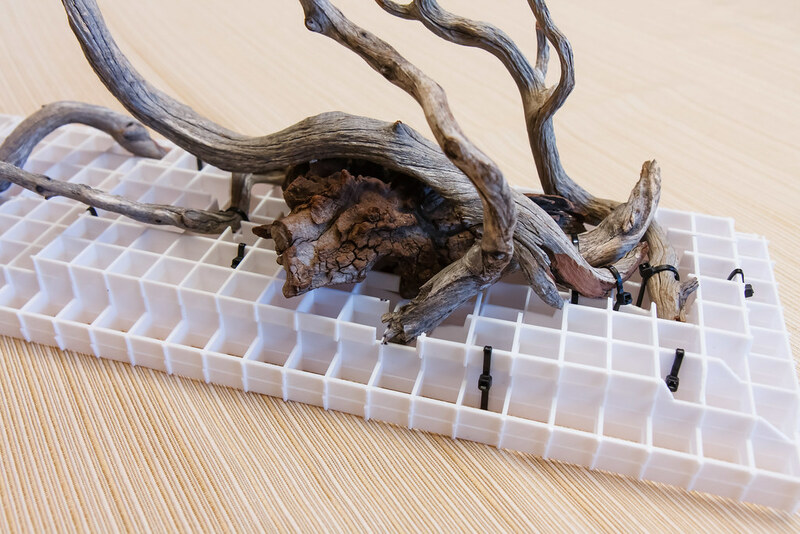 The egg crate can also be built up in layers to help create elevation changes in your substrate. Large mounds/hills in your substrate always tend to settle over time to flat. By adding sections of egg crate higher in certain areas, you can help to hold back the substrate and maintain these elevation changes. After you get the various layers of egg crate and pieces of driftwood in roughly the right place, it’s time to start securing the items together. I first tied the layers of egg crate together with zip ties. 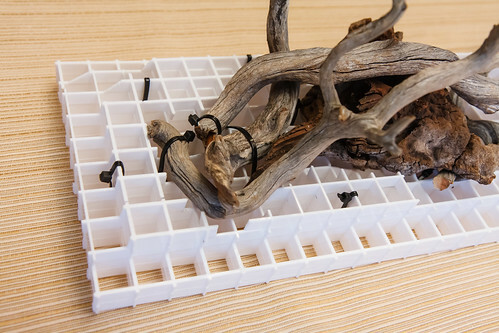 then I added additional zip ties to start affixing the driftwood items to the egg crate or to each other. Pay attention to where you anticipate the substrate level will be and make sure that the zip ties will be below and hidden. Some places required zip ties longer than the 4″ that I purchased. I just put two together in series and made a longer combined zip tie to go around the bigger pieces. 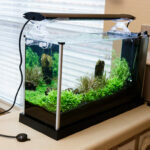 As you build it up, it is easy to put the whole thing down into your aquarium to see how it looks. If you want to add or change, just take it back out and keep working. 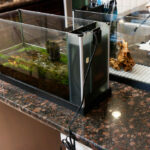 Once you are done assembling everything and have checked the structure in your aquarium to make sure it fits and that it looks like what you want, you can then proceed with water and substrate. My driftwood was not fully cured and was still floating. I weighed the structure down with a bottle filled with rocks and let it sit for a day or two. 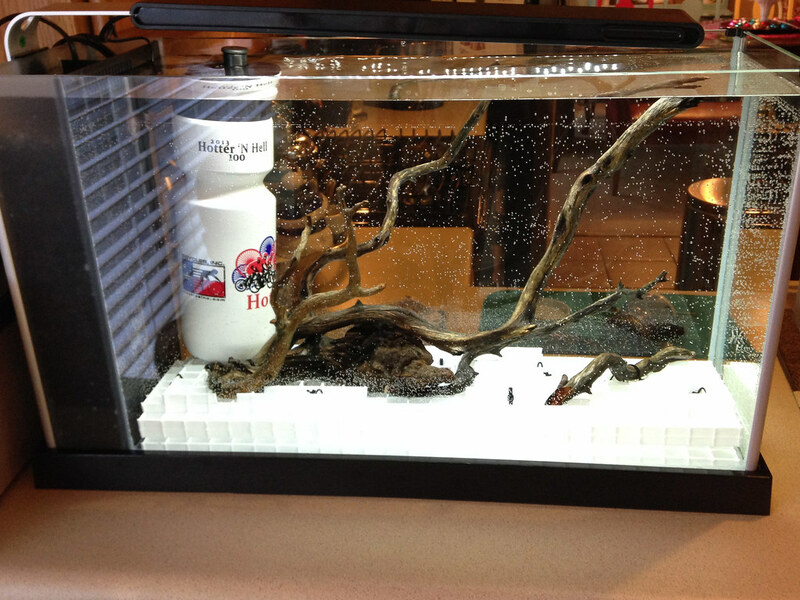 After that, I added my substrate and was able to start my fishless cycle. This entry was posted in Aquarium Tips and tagged aquascape, driftwood, egg crate, light diffuser. Bookmark the permalink. Love it! Will definitely try that with my next aquarium set up:) you have great ideas & tips…thanks for sharing! You are very welcome – it’s a pleasure sharing things as I discover them. I am on the Tom Barr forum and can’t see where to get some drift wood? Any chance you have a direct link?